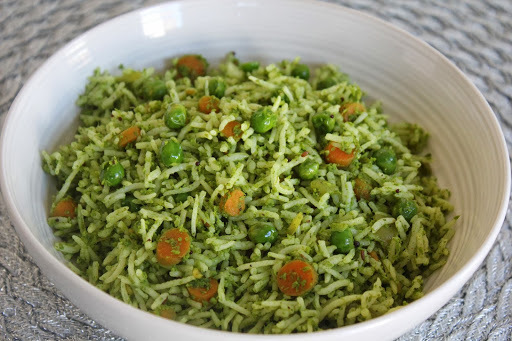 I love cilantro,I add it to everything for garnish.The freshness it gives to a dish is really wonderful.This is a rice made with cilantro,I have gotten this recipe from my mom.She made this when I was in my bachelors and I fell in love with it.Hope you enjoy it too. This one is red rice just with peas and coconut. 1.Cook the rice and keep aside. It should not be mushy. 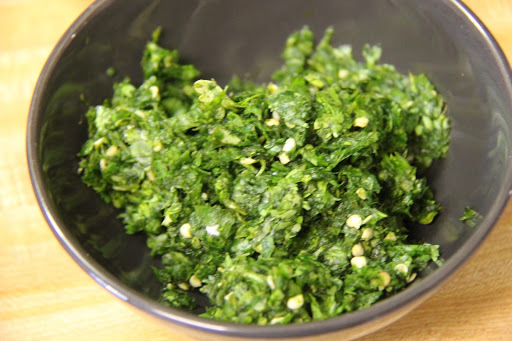 2.Wash cilantro, remove big stems and grind it with the green chilies(add water only if needed) into a paste. 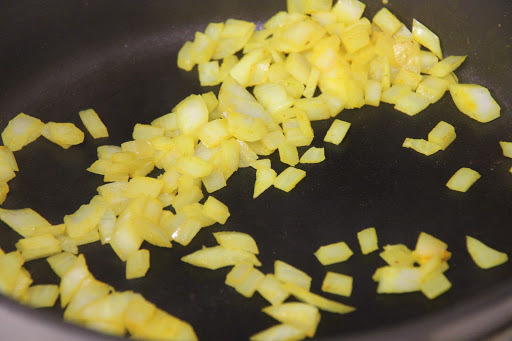 3.Heat oil in a pan, add finely chopped onions, turmeric and saute for 4-5 minutes. 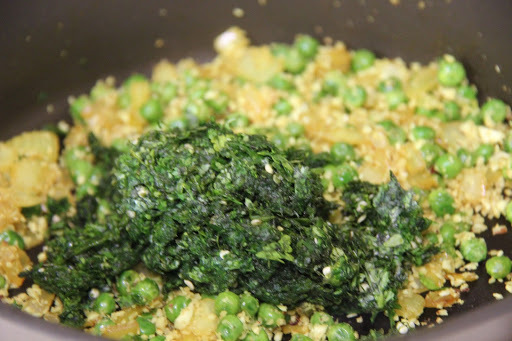 4.Then add the peas and salt and saute until peas are soft. 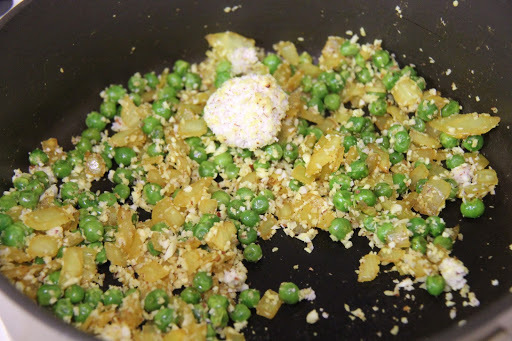 5.Add the grated coconut and saute for 2 minutes. 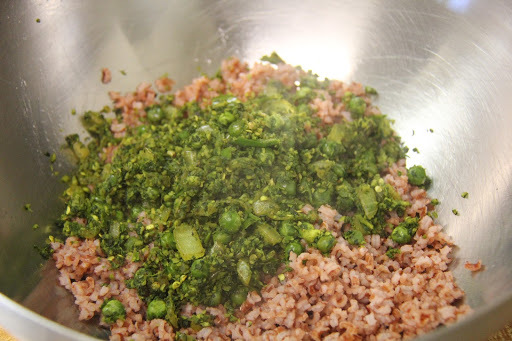 6.Now add the ground cilantro paste, adjust salt and saute till the rawness goes and turn off the stove. 7.Add this mixture to rice and mix well and serve. The rice is good by itself or can be had with raitha. 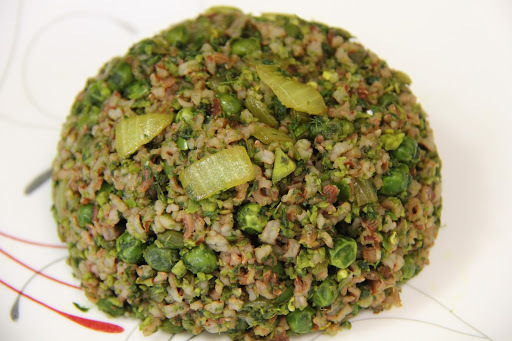 I have used red rice in this recipe,but you can use brown rice or regular white rice as well.When using red rice or brown rice,you will need a tad bit more salt and spice. You can also add some roasted peanuts or cashews for crunch. 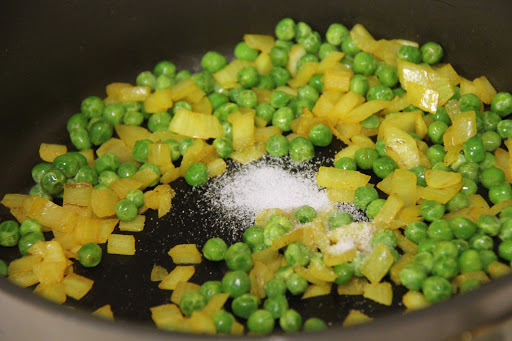 You can also add carrot or corn along with the peas.